Disposing your unwanted trucks can be cumbersome, long drawn and expensive. Whether you’re operating a business or are an individual who just wants to get rid of few trucks, think about selling them to Metro Car Removal for TOP DOLLAR. When you sell truck to wreckers, you will get best price and they will instantly tow it away for free after completing the paperwork. They just want your experience with them should be the best ever and that the offer they make exceeds that of their competitors. Isn’t that great! Call us anytime on: 0422 600 833 or online for a quick quote. Once we get ore information on your unwanted trucks, our professional valuation specialists will calculate the approximate cost that can be paid to you. The best thing about us is that we work really fast and pay best ever cash than our competitors and also do all the heavy lifting literally! Once you accept our offer, our heavy towing division will immediately start working and will make preparations for removing your old trucks. They will reach location on time and will pay you cash at your door. We can tow away trucks of all sizes for free, and have no hidden fee at all. Selling your truck to wreckers in Sydney means TOP DOLLAR in your pocket and complete peace of mind. We will work around your schedule and will make entire process simple and painless. We regularly pay heaps of cash up to $7000 for unwanted trucks. We can give you no-obligation quote over the phone or even online if you take few minutes to complete a short quotation form. If you’re interested in booking our cash for trucks service in Sydney just call us on. Once you agree on the price, we will send a team to your place to remove your truck by giving you quoted cash on the spot. Top cash for all types of truck e.g BMW, Ford, Hino, Nissan, Toyota, Man, Volvo, Isuzu, Mitsubishi, Mazda, Daff, Mercedes Benz etc. We buy trucks in any condition, running or damaged. Free paperwork and truck removal in entire Sydney areas. No hidden charges for any service. Most cash for junk truck services operating in Sydney won’t accept them without a title or registration. We often can and will. Mostly, title is not a big issue with us as long as you have a copy of your trucks registration and also have your driver’s license. Regardless of your situation, this definitely won’t impede our ability to pay you best ever price for your old truck. Call us on 0422 600 833 or fill an online form to get an instant quote from us. Notify us of your missing registration/ title and our experienced vehicle registration specialists will help ensure a fast transaction. There are dozens of wreckers out there, but we’re the only one that specializes in purchasing all types of trucks, cars, vans, and SUVs. And there’s just one big reason to sell your trucks to us: we make the best ever cash offer within minutes. 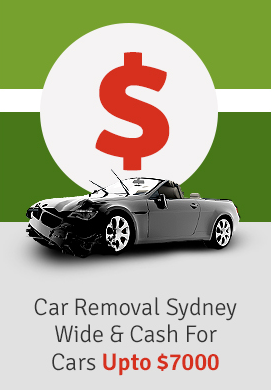 When you sell truck to wreckers, you get top dollar and we buy trucks in almost any condition anywhere in Sydney. We mainly focus on bigger vehicles such as trucks or vans, because they’re just that-larger. Their size makes them more valuable than cars. Even if a truck is a total loss and is just worth its metal, they still tend to weight 30-40 percent more than cars and are therefore, worth more.